Robert Lynn Pruett was executed by the state of Texas on Thursday, October 12, 2017. Robert was pronounced dead at 6:46 pm CDT, inside the Walls Unit execution chamber at the Huntsville State Penitentiary in Huntsville, Texas. Robert was 38 years of age. He was executed for the murder of 37-year-old correctional officer Daniel Nagle, on December 17, 1999, while Robert was serving a life sentence at the McConnell Unit in Beeville, Texas. Robert spent the last 16 years of his life on Texas’ death row. Robert grew up poor, often going hungry. He and his family frequently moved while he was a child. Robert was friends with gang members and frequently used drugs and alcohol while growing up. His mother worked hard and his father was gone during the early years of his life. Eventually they got back together. As a teenager, Robert and his friends began stealing from people's houses. During one of these robberies, when Robert was 15, he and his friends were caught by a neighbor. They fled the house and attempted to hide their stolen goods, including rifles. Robert was caught and sent to a juvenile detention center. Robert returned home on a very strict parole and warned to not get in any more trouble. Upon returning home, Robert was informed by his friends that his neighbor, Ray Yarborough, had taken one of the guns he and his friends had stolen. Robert, who did not like Ray, asked for the weapon back. Ray denied having the weapon. The two argued but did not resolve the problem. Robert informed his brother and father about the argument. They all agreed to do nothing so as to not stir up trouble. On August 9, 1995, just a few weeks shy of Robert's 16th birthday, Ray, who lived in a trailer across from Robert, came home drunk. His dog had escaped and, while attempting to catch it, he yelled obscenities and threatened to beat it. Robert, who was unaware of the escaped dog, thought Ray was yelling at him. Robert awakened his father and brother and all three went outside to confront Ray. Robert, the first one outside, attacked Ray. Robert's brother came outside next and began fighting with Ray. The two of them ended up in some trees, where Robert's father went after them. Robert claims he stayed with the group who had gathered. Robert's father and brother emerged from the woods with blood on their clothing. The three fled. They were later arrested and all were charged with Ray's murder. Robert's father eventually confessed to stabbing Ray and killing him. He testified that although his boys were with him during the murder, they did not partake. He received a life sentence. Robert's brother, who was 25 at the time of the murder, received a 40 year sentence. Robert, who was tried as an adult, received a 99 year sentence. 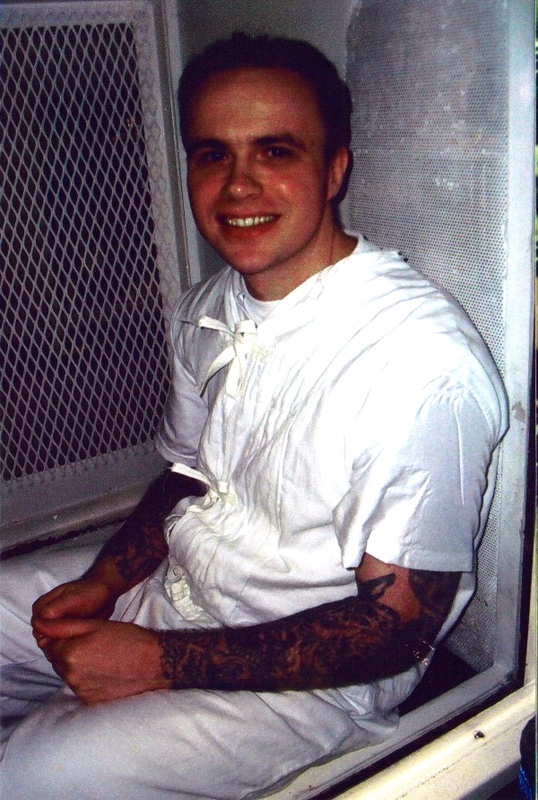 Approximately six years later, Robert Pruett, after missing the regular hot lunch in prison, attempted to take a sack lunch into the recreation area, which was a violation of prison rules. Officer Daniel Nagle informed Pruett that he needed to eat his lunch before entering the recreation area. Officer Nagle also wrote a disciplinary charge against Pruett. Later that afternoon, Nagle was in his office adjoining a multi-purpose room. Pruett entered and stabbed Nagle eight times with a sharpened metal rod. Nagle died of a heart attack as a result of the attack. Found along with Nagle's body was the murder weapon and Pruett's shredded disciplinary report. According to John Lee Davis of the Texas Department of Criminal Justice Office of Inspector General, following his arrest, Pruett stated, "Go ahead and run that disciplinary case on me now. Oops, I want to call my first witness, Officer Nagle. Oops, he's dead.” Pruett is alleged to have laughed after his statement. Several inmates testified they saw Pruett commit the murder. Pruett claims he did not commit the crime for which he has been tried, convicted, and sentenced to death. He and his lawyers allege that he was framed. Pruett alleges Officer Nagle was not well-liked by the inmates or the other guards because he was a rule follower and would report corrupt guards. They argue that Pruett was in the exercise yard when the murder occurred and that the inmates who testified against him originally stated that they had not seen the murder. Please pray for peace and healing for the family of Daniel Nagle, including his wife and children who grew up without their father. Please pray for strength for the family of Robert.